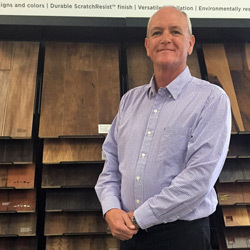 Chip has been in the flooring industry for over 27 years. He began working in a wholesale floor covering distribution center, then moved to retail and installation, then onto management. 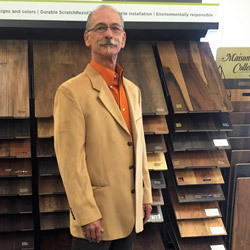 Realizing his passion was to own his own store he decided to open North Hills Flooring in October of 1995. Owning your own business requires wearing many different hats but the one hat he enjoys wearing the most throughout the years is the "sales hat." 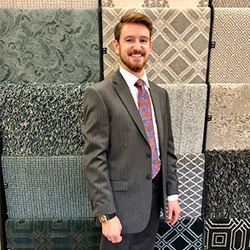 Being on the sales floor working with customers is what he enjoys most and making sure his customers have total satisfaction from the start of their experience to the finish. Susan has over 15 years of office management experience. She works mostly behind the scenes keeping everything running efficiently. With an eye for design she enjoys not only running the office but "helping" customers as she says instead of the term "selling." 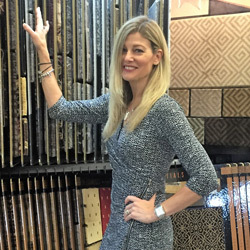 She doesn't look at selling like a job but more as pure enjoyment in helping custmers pull entire room or an entire house project together with the perfect floors. Leon started his flooring covering career in Ashland, Mass. and eventually making his way to PA! He has been with North Hills Flooring from opening day. Leon brings with him a total of 35 years of product and installation knowledge combined with great customer service. His ability to go above and beyond for his customers reflects in the amount of repeat customers and referral work he brings to North Hills. Leon has been a true asset over the years. 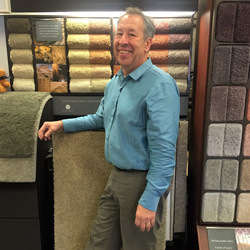 Mike began working for North Hills Flooring in March 2008 and brought with him over 20 years of floor covering experience. With now over 27 years in the field with installing, design and color Mike is able to be creative offering customers a variety of options when designing a layout to truly find each customers own unique style. Mike's creative design has truly kept customers coming back again and again. CJ is a 2016 graduate from York College. He has spent the last four years working in state and federal government. He has made the transition back into the family business, where he will be coordinating the day to day operations of the office. Making sure all things are being addressed behind the scenes. He looks forward to helping maintain the family business attitude that has made North Hills successful for over the last two decades.